The swearing in ceremony will be held at the Miller County Courthouse, on the second floor at 10:00 a.m. Tuesday. While the Courthouse and offices are closed for the holiday, elected officials are expected to be sworn in during the first day of the new year. Some judges have chosen to be sworn in earlier so they can conduct the ceremony for the County Judge and other major officials for the county. It is currently unclear if the Sheriff will be sworn in at the Courthouse or not, but major courthouse held offices will start the process at 10:00 a.m. With the historic event, those wishing to attend should arrive early. An interesting side note to the fact that the county will have the first female county judge is the fact that all major offices in the county will be held by Republican representatives. Until January 1, the office of Assessor has been held by an appointed person since the retirement of Democrat Mary Stuart. As of January 1, Miller County will also be served by nine Republican Justices of the Peace (JP), one Democrat JP and one Independent JP. It is the first time so many Republicans have held major offices in the county since Reconstruction. For those unable to attend the ceremony Tuesday, you may also catch it live-streamed on the Facebook Page “The ‘Whose Who’ of Our Miller County“. The page is maintained as a community service by Ronnie Dancer, Sr. of Fouke, Arkansas. The last election cycle, candidates and outcomes, may be viewed online at Election Cycle 2018. More than 900 bills have been signed into law this session. This General Assembly has reduced taxes, addressed infrastructure needs, increased funding to education, and transformed state government. It was once the the place where the music blazed out into the night from piano players, guitar pickers, drummers, and vocals arriving by way of Highway 67. Johnny Cash, Carl Perkins, and Conway Twitty were just a few of the names to become legends that would perform in the early days of the Texarkana Arkansas Municipal Auditorium. Miller County, AR-Cathy Hardin-Harrison would like to announce her candidacy for Miller County Judge. Cathy will run for Miller County Judge in the 2018 election primary as a Republican. She has served Miller County as the Miller County Tax Collector for two terms. Hardin-Harrison has overseen improvements in the Tax Collector’s office including an increase in collected taxes, and corrected tax issues. 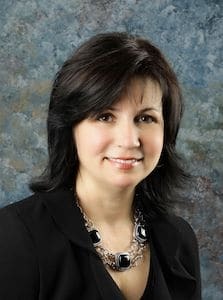 She has overseen some of the largest returns in revenue in the county’s history and improved the accuracy and accessibility of the Tax office through an online site with options to pay taxes online in addition to traditional mail and paying in person. On August 30, Cathy made the formal announcement on her Facebook site (https://www.facebook.com/Cathy-Hardin-Harrison-for-Miller-County-Judge-1721149251521021/ ) She stated that a lot of consideration and prayer went into the decision and it was not a decision she took lightly. Hardin-Harrison listened to voters, friends, family and discussed the office with her husband. Cathy said, “This is the first four-year term for a county judge in the state’s history.” She feels strongly that this person has to be a strong, open-minded, and forward-thinking leader. Hardin-Harrison noted that when she came into the Tax Collector’s office there was not a positive atmosphere. The office had just come through questionable legal issues and people were simply unsure what the future would hold for the Tax Collector’s office. When she decided to run for that office, she wanted to make a difference, clean up the office and get it back on track for Miller County. Hardin-Harrison says the office is now on track and moving in the right direction. She feels it’s time to move that positive momentum over to the office of County Judge. 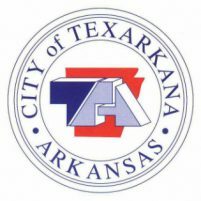 Judge Wren Autrey has announced the Miller County District Courts, both City and County Divisions in Texarkana, Arkansas will grant Amnesty beginning January 28, 2019 through March 29, 2019 for individuals that have outstanding warrants for failure to appear, probation violation, or failure to report. During this time, the District Court will waive the warrant fee and jail time if it receives full payment for these warrants.